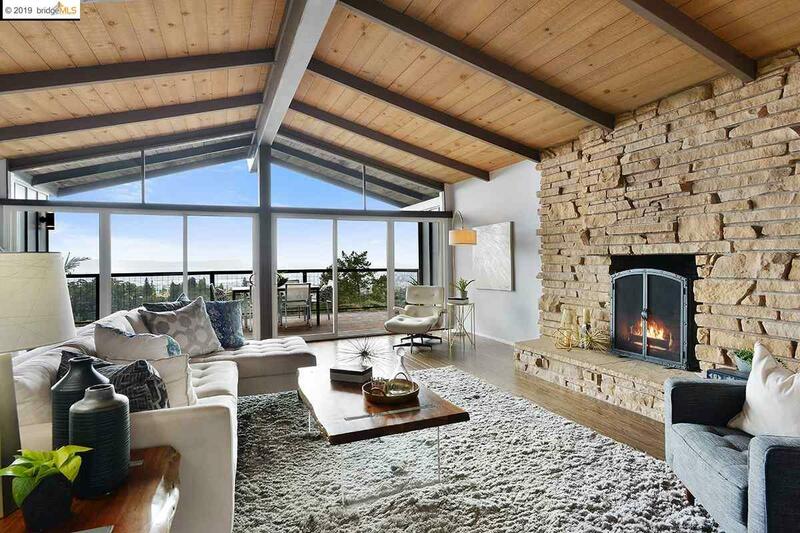 Spacious Piedmont Pines Home with Even Bigger Views Walk into this beautiful mid-century home just minutes from Montclair Village and you will immediately be taken by stunning SF and Bay views. Newly remodeled and seismically upgraded. The level-in entrance opens to the living room with high vaulted ceilings and striking stone fireplace. Sliding glass doors lead to an expansive view deck spanning to the dining room. The upper floor also features a newly remodeled kitchen with breakfast nook and a contemporary half bath. Downstairs features a warm and comfortable family room with brick fireplace, 4 bedrooms including a spacious master bedroom, and beautifully remodeled master and guest baths. Below the main house is a studio apartment (built with permits) with separate entrance for hosting extended family or guests. Live your best life like you are on vacation while enjoying all of the perks of Montclair â shopping, dining, library, transit and freeway.